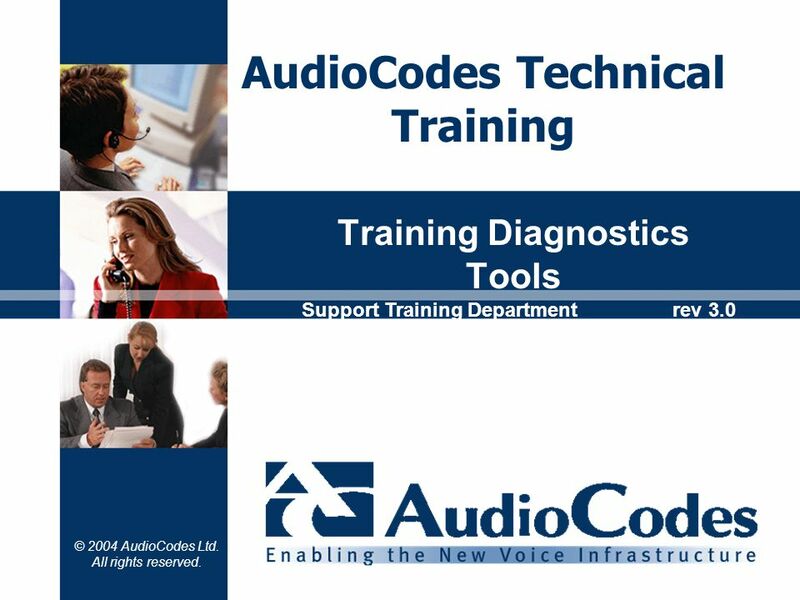 to perform the following tasks: Identify and describe the tools available to troubleshoot AudioCodes products. 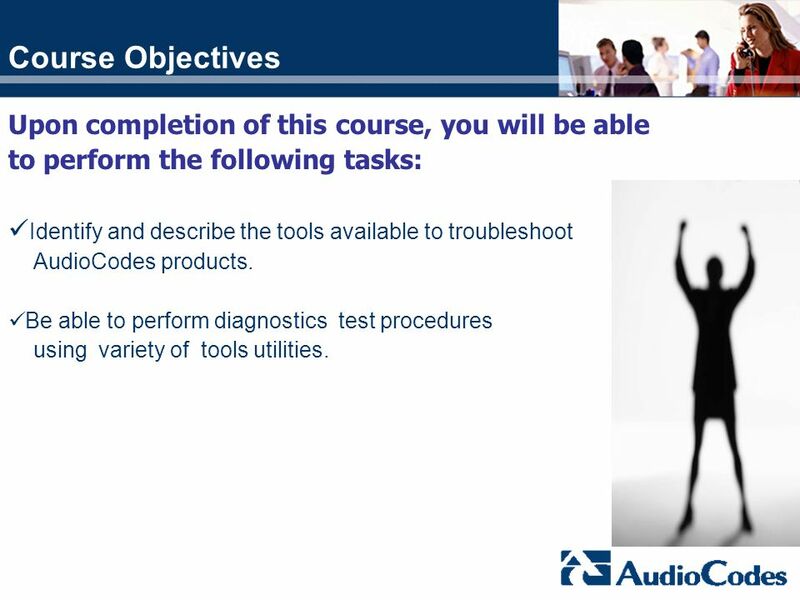 Be able to perform diagnostics test procedures using variety of tools utilities. 4 INI Files Rules: Case Insensitive. 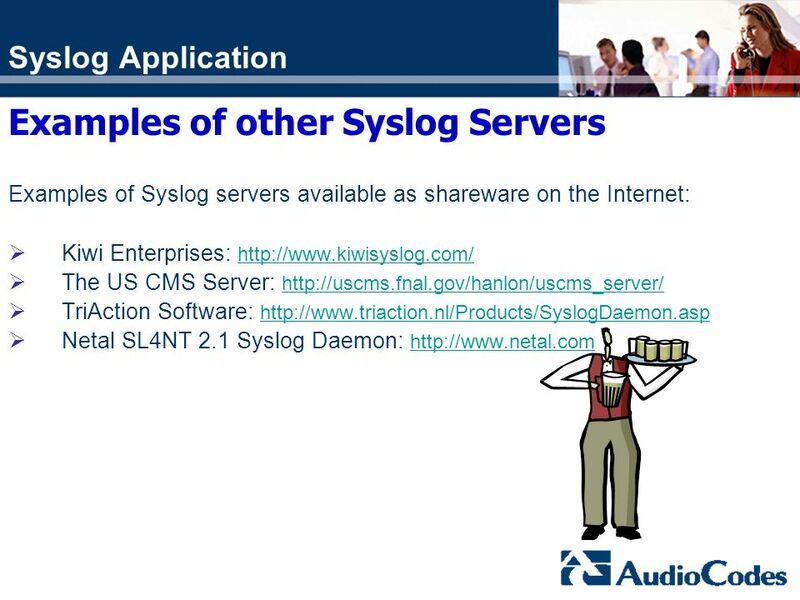 7 Q: What is ACSyslog application syslog used for ? 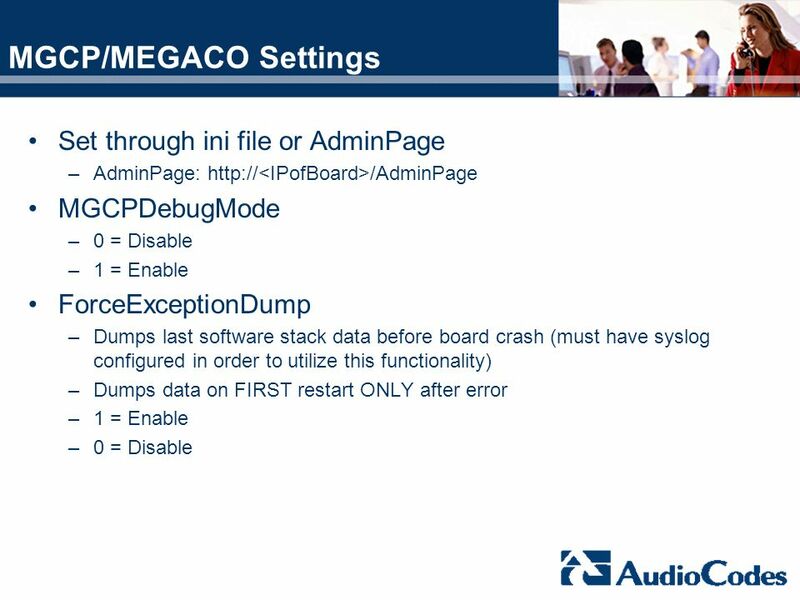 A: The ACSyslog application gives the possibility to pick up the trace messages from the MP-1XX and send them to the ACSyslog.txt file. 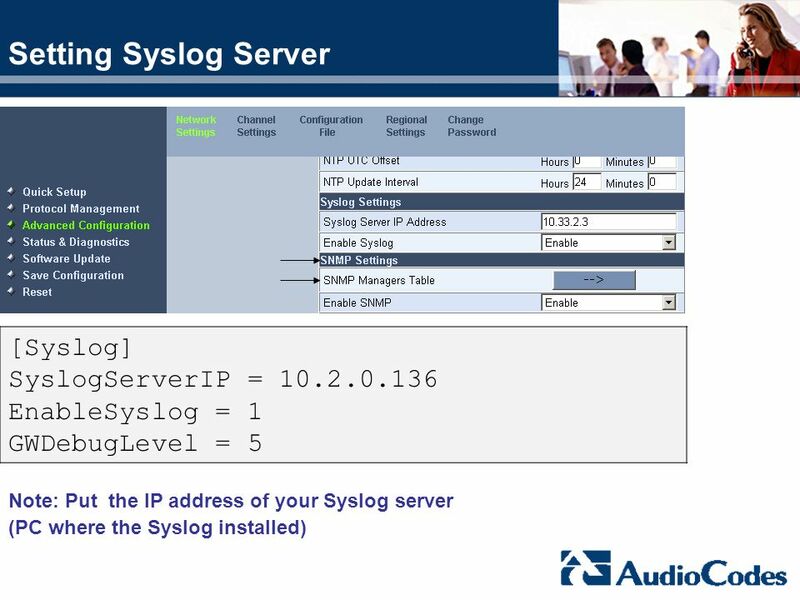 SYSLOG Definition: The SYSLOG is a collection of error messages, warning, and/or other system messages that are sent to a central server using UDP port 514. 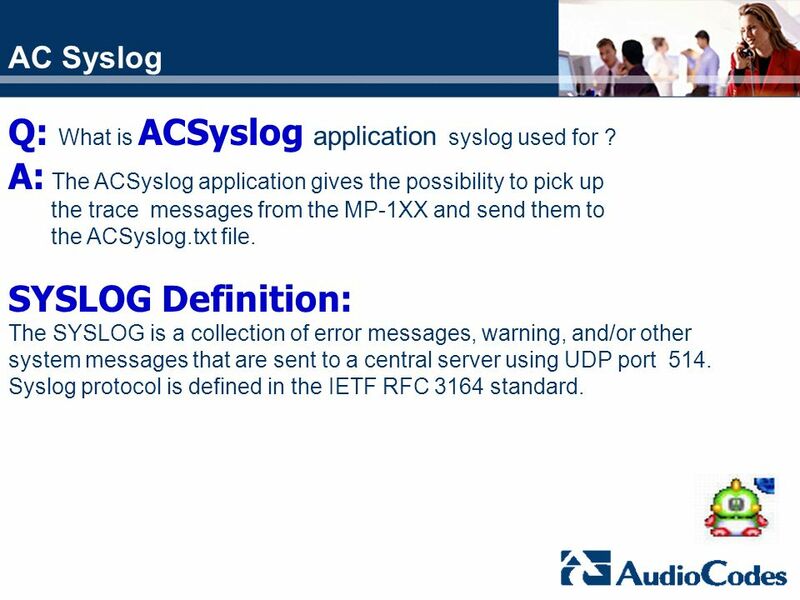 Syslog protocol is defined in the IETF RFC 3164 standard. 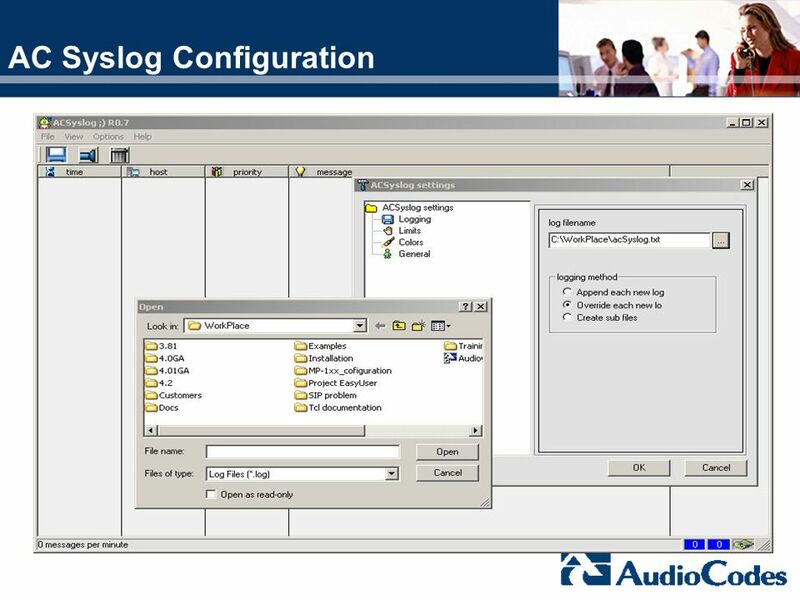 11 Syslog Levels 0 = Debug is disabled (default) 1 = Flow debugging is enabled 2 = Flow and device interface debugging are enabled 3 = Flow, device interface and stack interface debugging are enabled 4 = Flow, device interface, stack interface and session manager debugging are enabled 5 = Flow, device interface, stack interface, session manager and device interface expanded debugging are enabled. 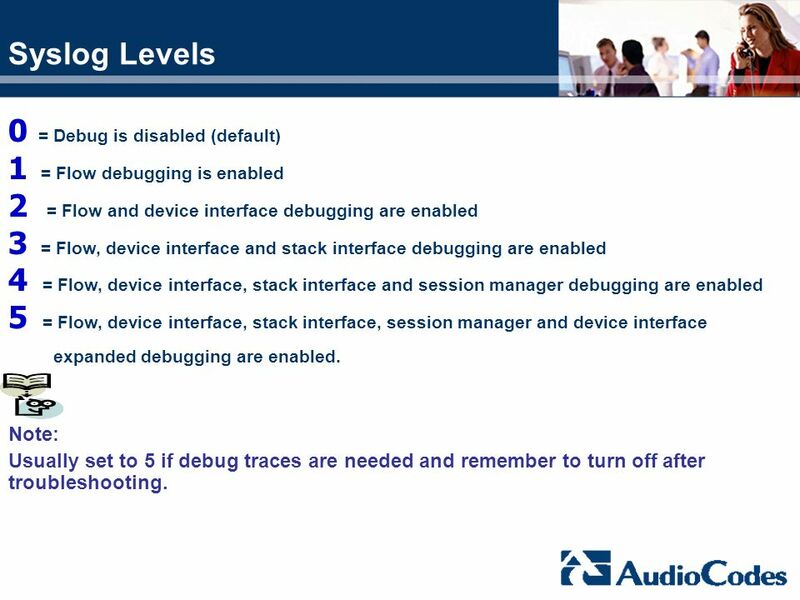 Note: Usually set to 5 if debug traces are needed and remember to turn off after troubleshooting. 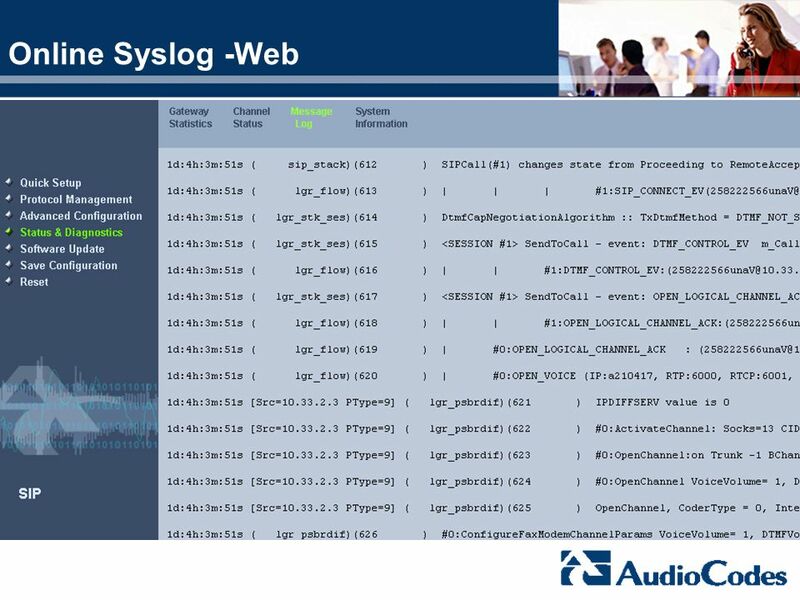 13 Online Syslog -Web Our implementation includes 3 objects that define different ‘aspects’ of the call: Endpoint (EP), Call and Session. 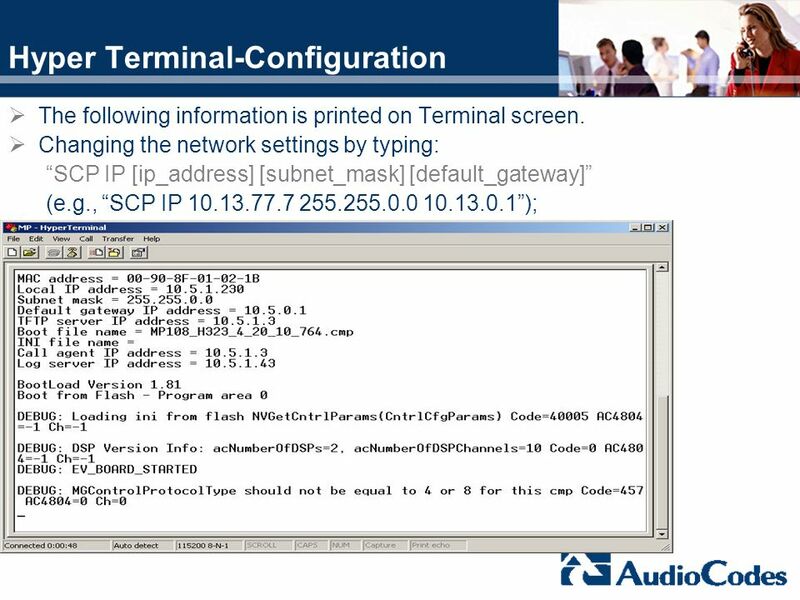 In a very brief description: Endpoint – handles the actual endpoint, usually same as CID Call – Handles the call from infrastructure pointy of view (mostly common to H.323 and SIP) Session – handles the call from the protocol side (H.323 and SIP) Each call has 3 identification numbers – EP ID, Call ID and Session ID. 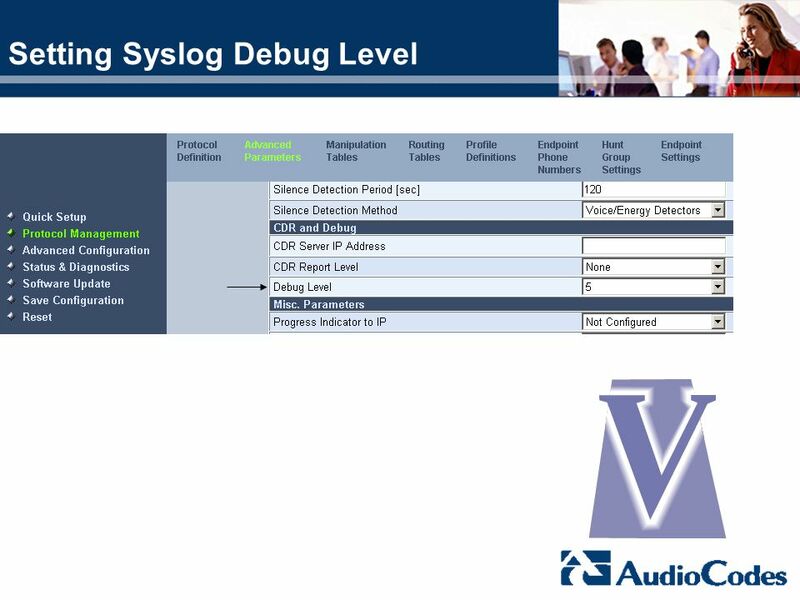 Going back to the syslog – you probably realized that the messages are indented. The leftmost messages are related to the board side (the telephony) and the rightmost are related to the IP. The leftmost messages are endpoint related messages and the number #5 is the endpoint ID. The next tab is the call related messages so #3 is the call The next tab are session related messages. 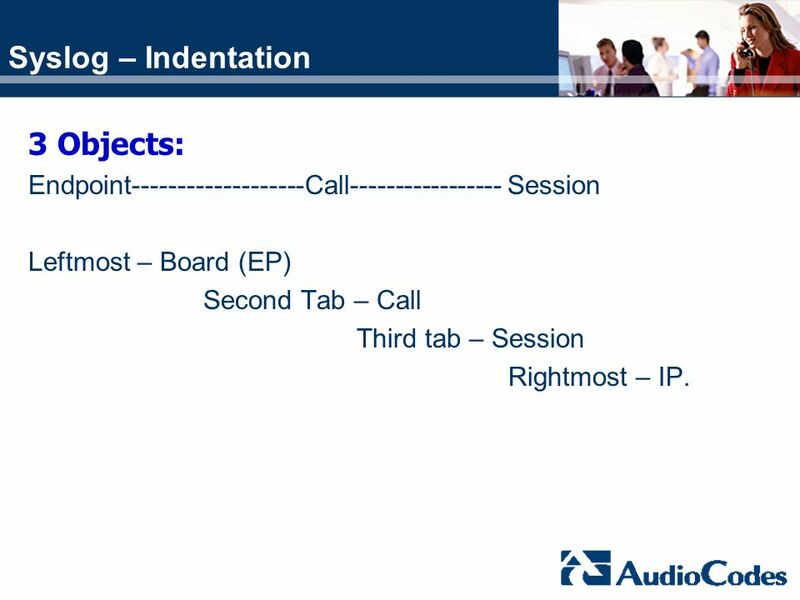 Endpoint Call Session Leftmost – Board (EP) Second Tab – Call Third tab – Session Rightmost – IP. 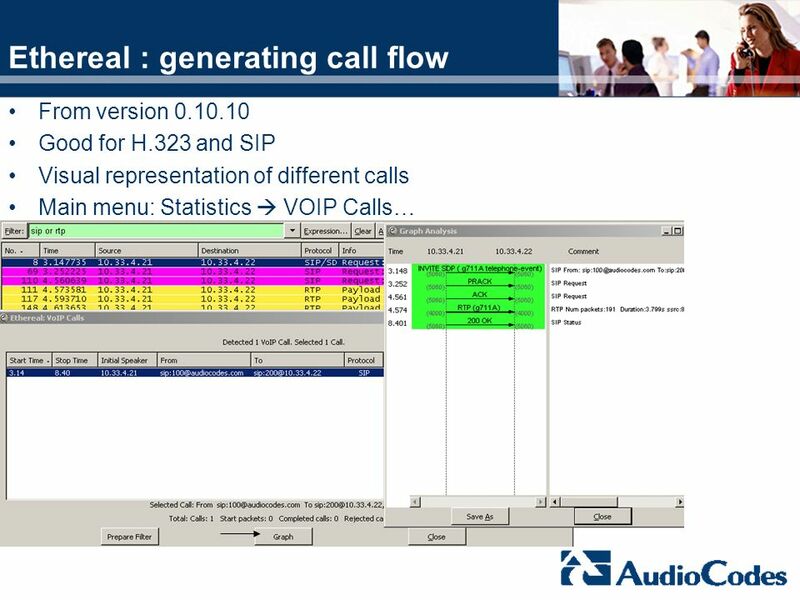 Our implementation includes 3 objects that define different ‘aspects’ of the call: Endpoint (EP), Call and Session. In a very brief description: Endpoint – handles the actual endpoint, usually same as CID Call – Handles the call from infrastructure pointy of view (mostly common to H.323 and SIP) Session – handles the call from the protocol side (H.323 and SIP) Each call has 3 identification numbers – EP ID, Call ID and Session ID. Q: What is Ethereal application used for ? 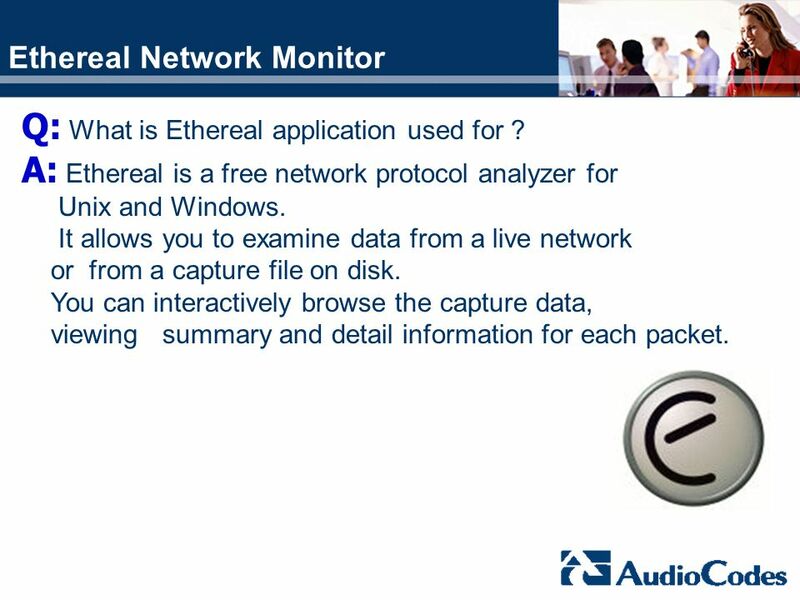 A: Ethereal is a free network protocol analyzer for Unix and Windows. 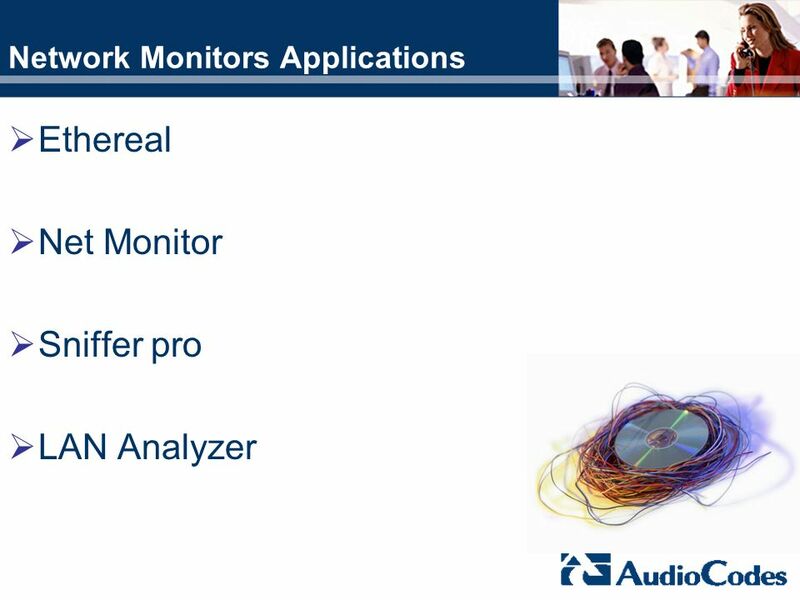 It allows you to examine data from a live network or from a capture file on disk. 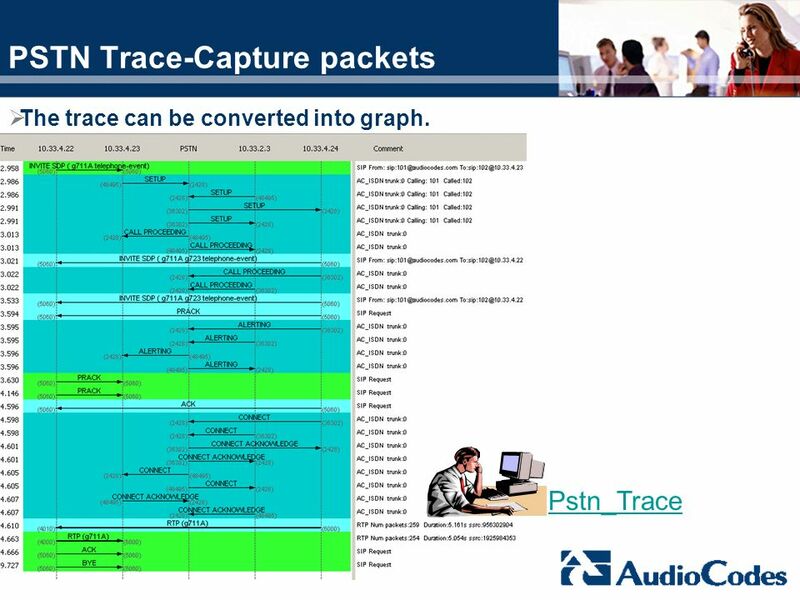 You can interactively browse the capture data, viewing summary and detail information for each packet. 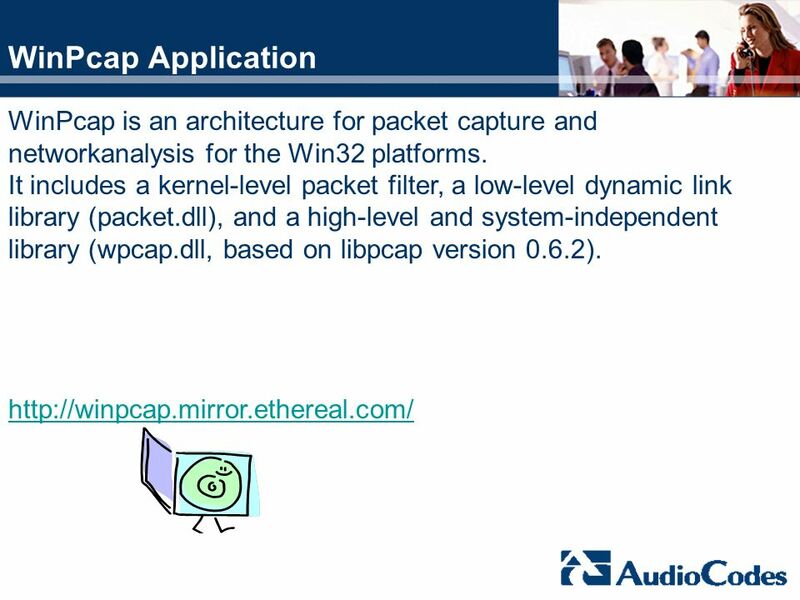 19 WinPcap Application WinPcap is an architecture for packet capture and networkanalysis for the Win32 platforms. 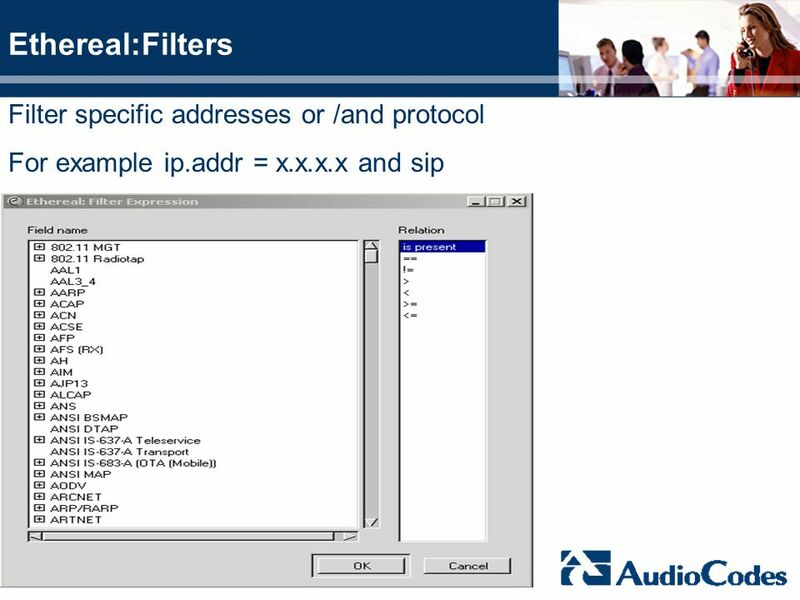 It includes a kernel-level packet filter, a low-level dynamic link library (packet.dll), and a high-level and system-independent library (wpcap.dll, based on libpcap version 0.6.2). 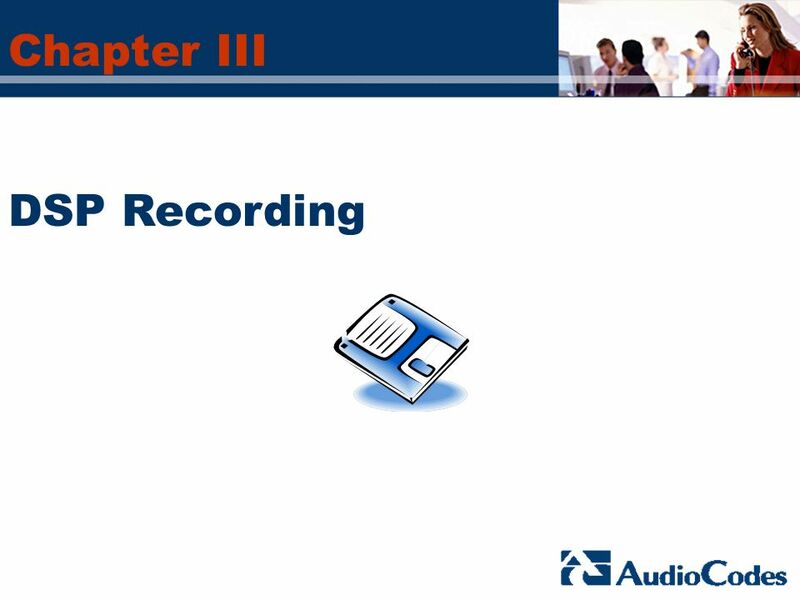 Q: What is DSP Recording used for ? 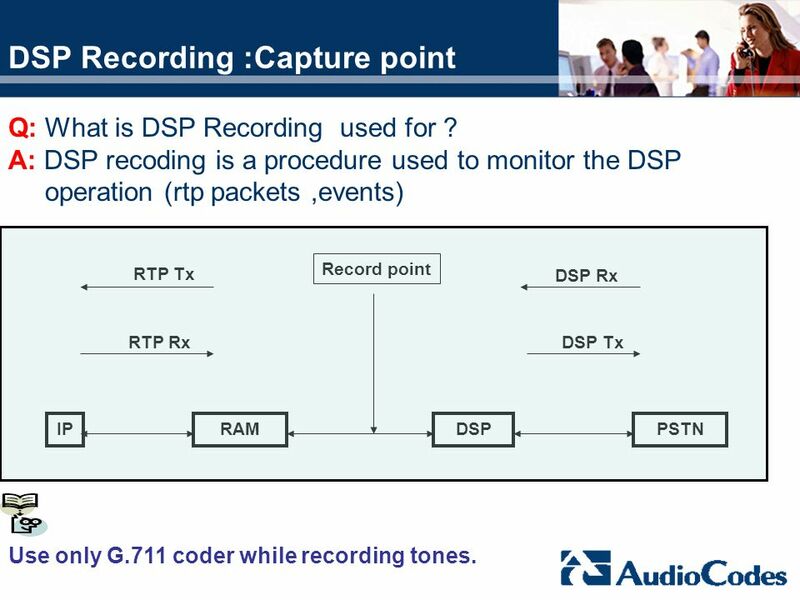 A: DSP recoding is a procedure used to monitor the DSP operation (rtp packets ,events) RAM DSP PSTN IP Record point DSP Rx DSP Tx RTP Rx RTP Tx Use only G.711 coder while recording tones. Now please start the program "UdpToFile.exe" in order to record all packets to the file. 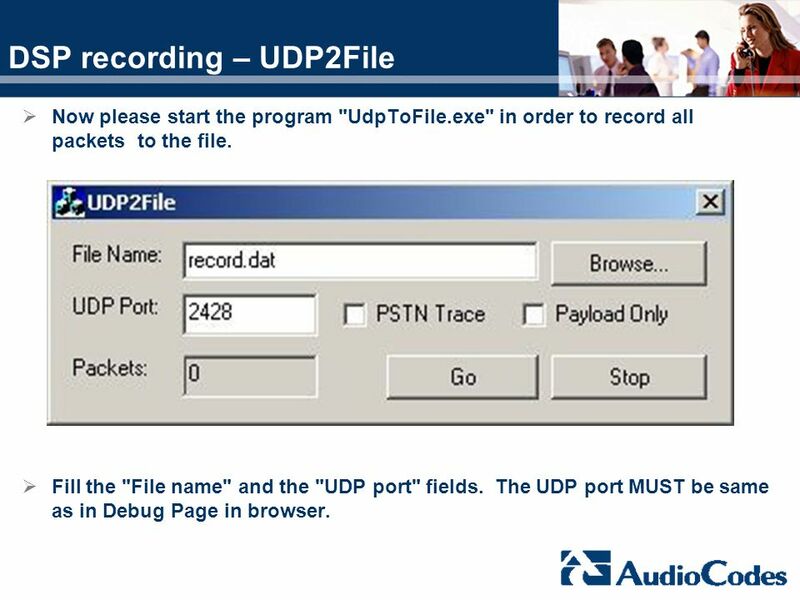 Fill the "File name" and the "UDP port" fields. The UDP port MUST be same as in Debug Page in browser. Before you will start the call press the : 1. "Record" button on the WEB 2. "Go" button on the “Udp2File” utility. After the end of call give some seconds to the Mediant to send last events and after that stop the: 1. "Udp2File" utility 2. 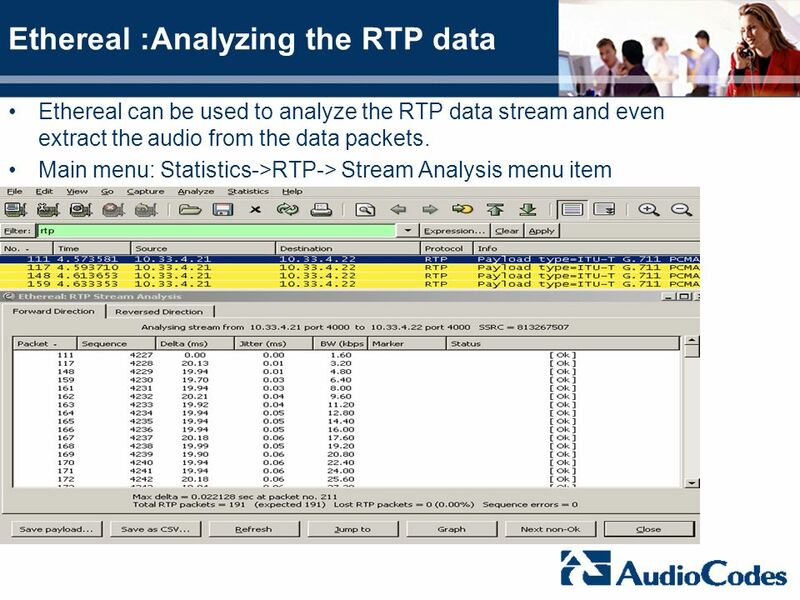 DSP recording on WEB interface. 1. Open the Mediant 2000 WEB interface. 2. Add to the "Address" field in the browser the following line /FAE , then press the Enter. 3. 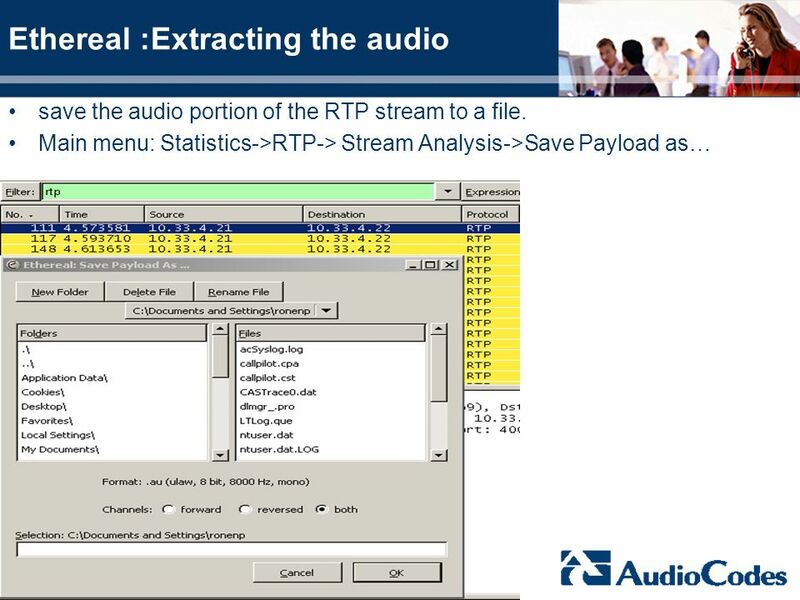 Choose the "Packet Recording" item 4. You will be asked for password and user : user: Admin password: Admin 6. Press "Apply New Settings" button. 7. Now please start the attached program "UdpToFile.exe" . 8. Fill the "File name" and the "UDP port" fields. The UDP port MUST be same as in Debug Page in browser. 9. Before you will start the call press the : 1. "Record" button on the WEB 2. "Go" button on the Udp2File utility. 10. After the end of call give some seconds to the MP/M2K to send last events and after that stop the: 1. "Udp2File" utility 2. 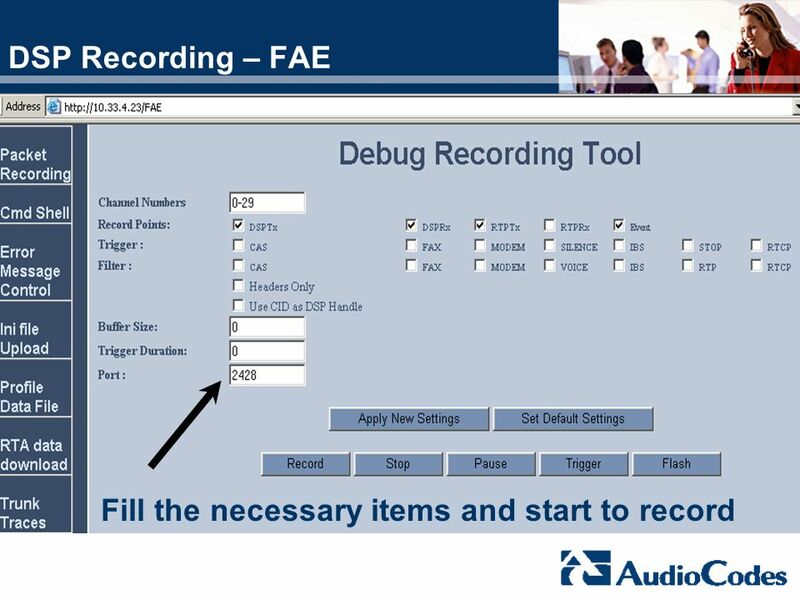 DSP recording on WEB interface. 11. 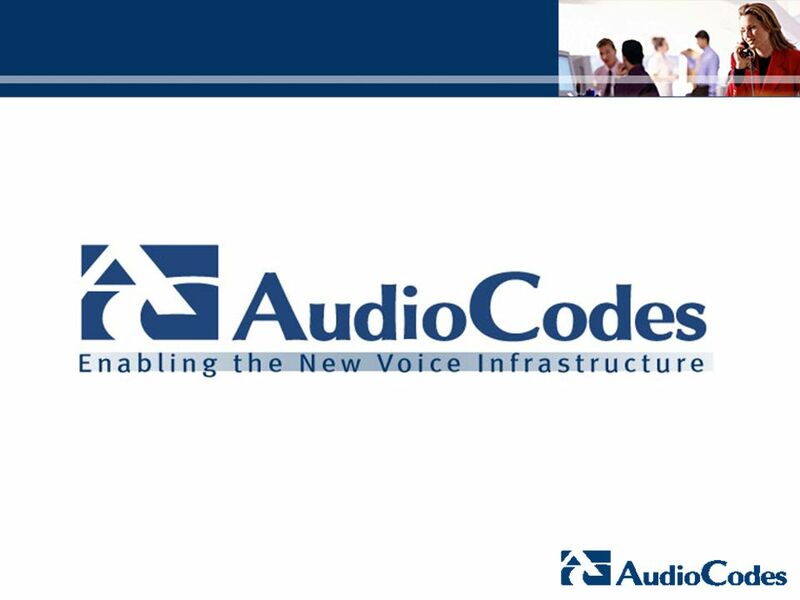 Send Audiocodes Support the received DAT file: DSP traces will be analyzed by AudioCodes Tech Support. 36 Q: What is CPTWizard used for ? 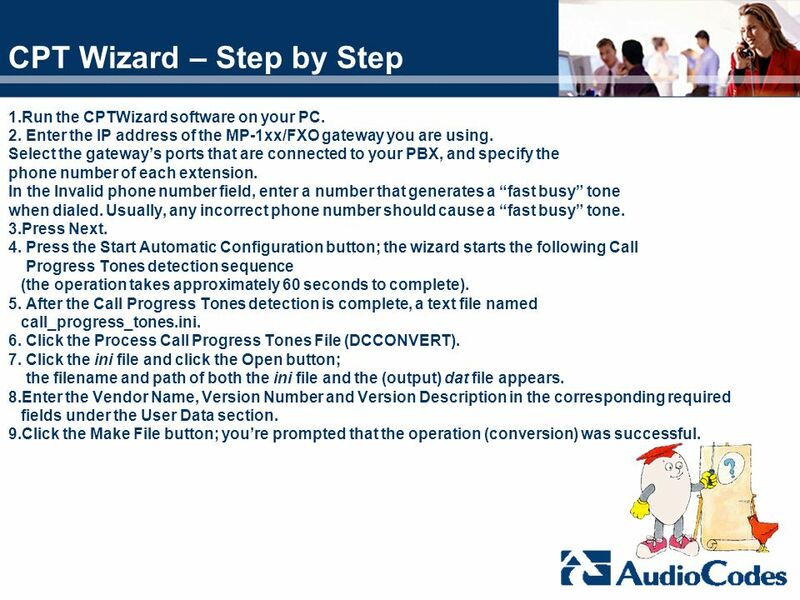 CPT Wizard- Installation Execute the CPTWizard.exe file. Enter the IP address of the MP-1xx/FXO. Select the gateway’s ports and Phone numbers. Insert Invalid phone number field, that generates a “fast busy”. Press the Start Automatic Configuration button. 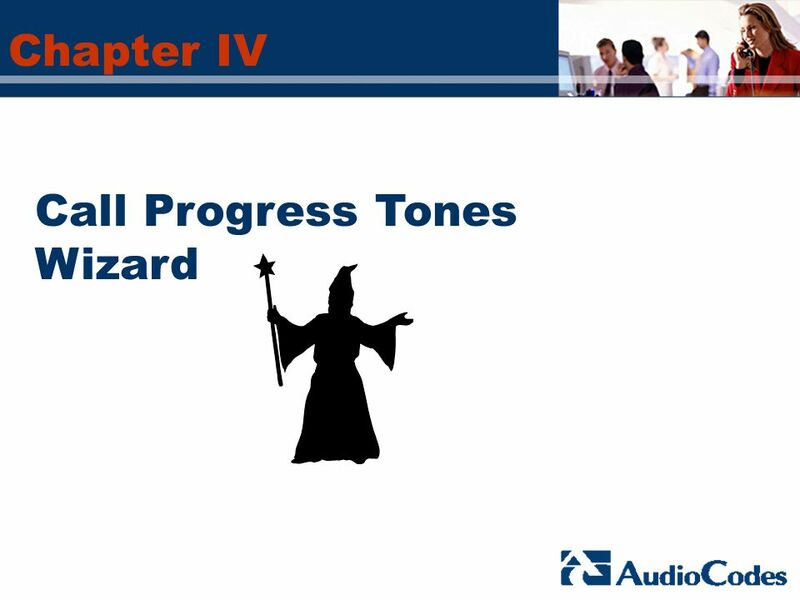 The wizard then analyzes the recorded Call Progress Tones. 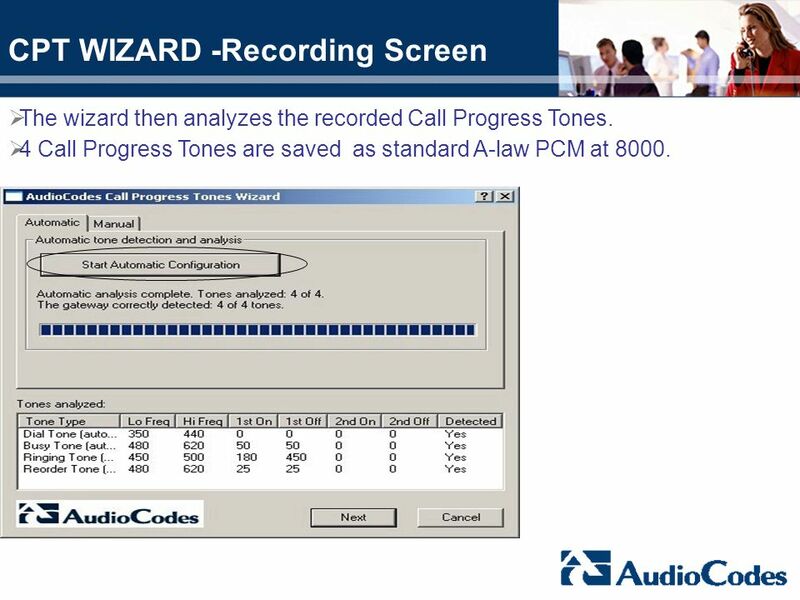 4 Call Progress Tones are saved as standard A-law PCM at 8000. 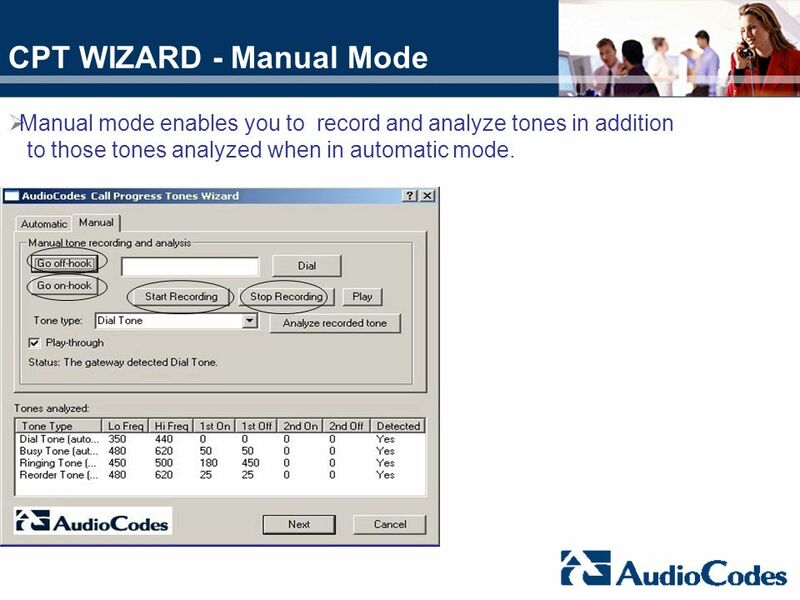 Manual mode enables you to record and analyze tones in addition to those tones analyzed when in automatic mode. 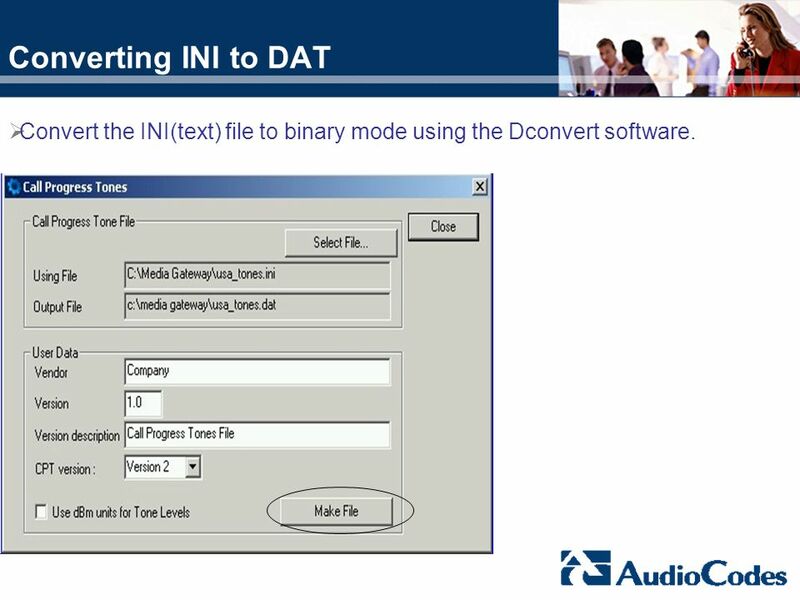 41 Converting INI to DAT Convert the INI(text) file to binary mode using the Dconvert software. 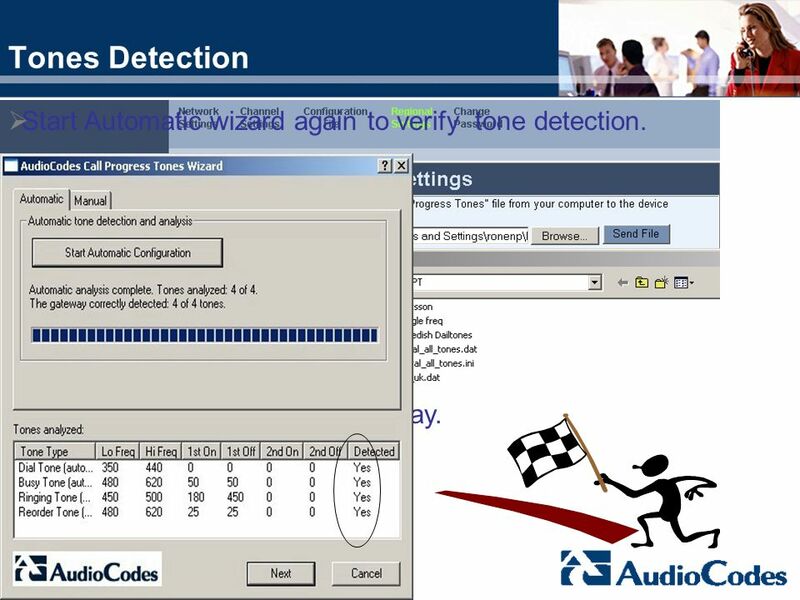 42 Tones Detection Start Automatic wizard again to verify tone detection. Upload the CPT file to the Gateway. 1.Run the CPTWizard software on your PC. 2. Enter the IP address of the MP-1xx/FXO gateway you are using. 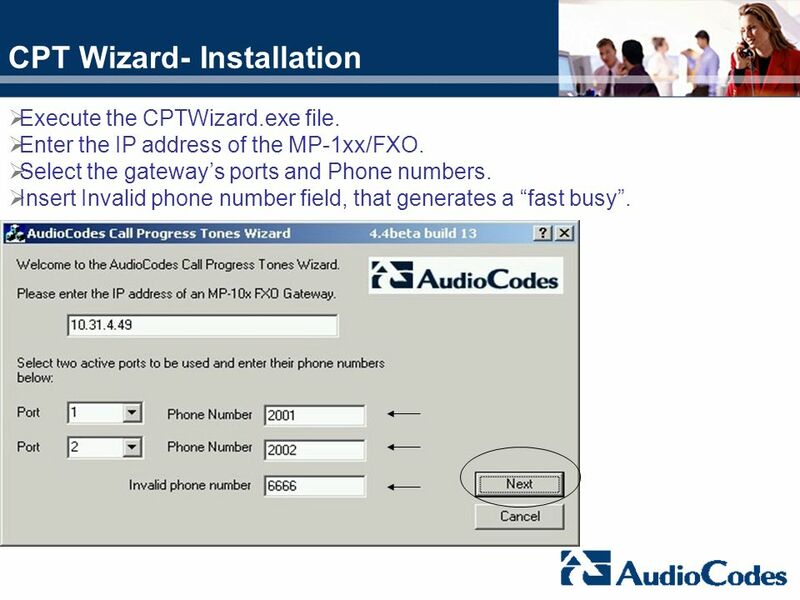 Select the gateway’s ports that are connected to your PBX, and specify the phone number of each extension. In the Invalid phone number field, enter a number that generates a “fast busy” tone when dialed. Usually, any incorrect phone number should cause a “fast busy” tone. 3.Press Next. 4. Press the Start Automatic Configuration button; the wizard starts the following Call Progress Tones detection sequence (the operation takes approximately 60 seconds to complete). 5. 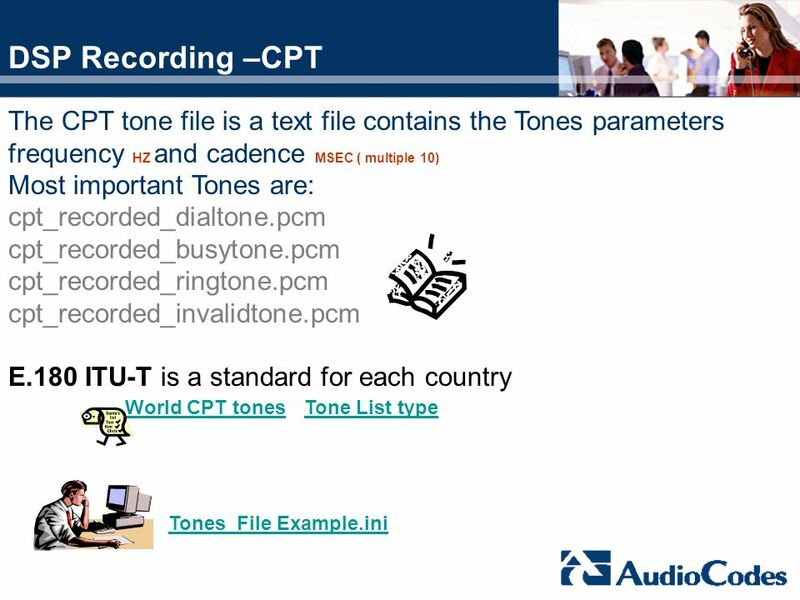 After the Call Progress Tones detection is complete, a text file named call_progress_tones.ini. 6. 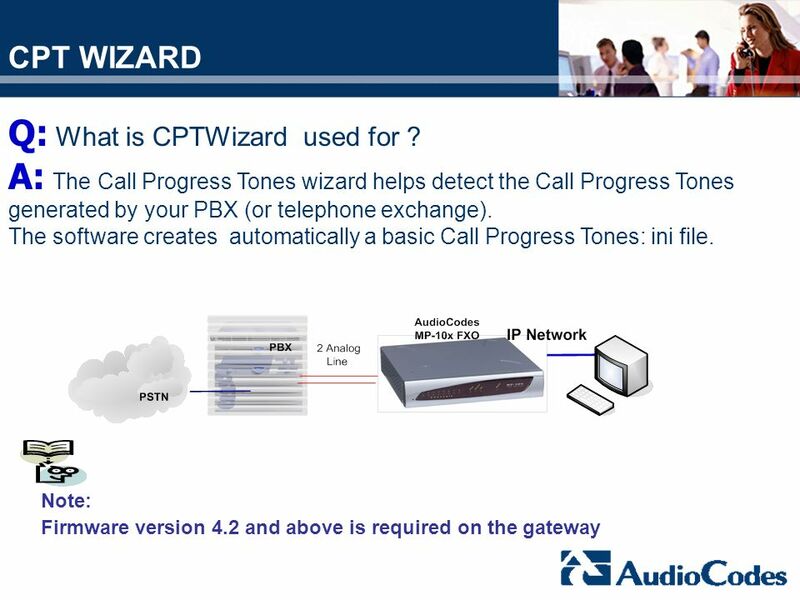 Click the Process Call Progress Tones File (DCCONVERT). 7. 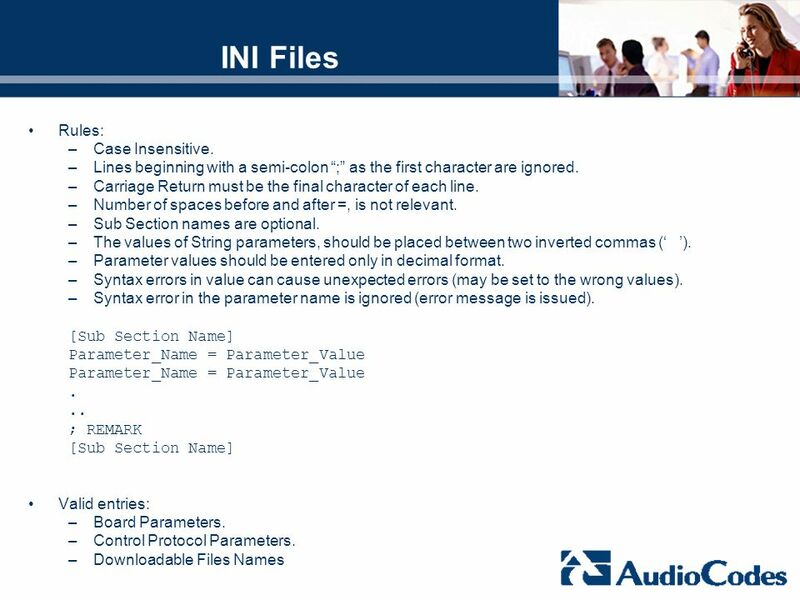 Click the ini file and click the Open button; the filename and path of both the ini file and the (output) dat file appears. 8.Enter the Vendor Name, Version Number and Version Description in the corresponding required fields under the User Data section. 9.Click the Make File button; you’re prompted that the operation (conversion) was successful. 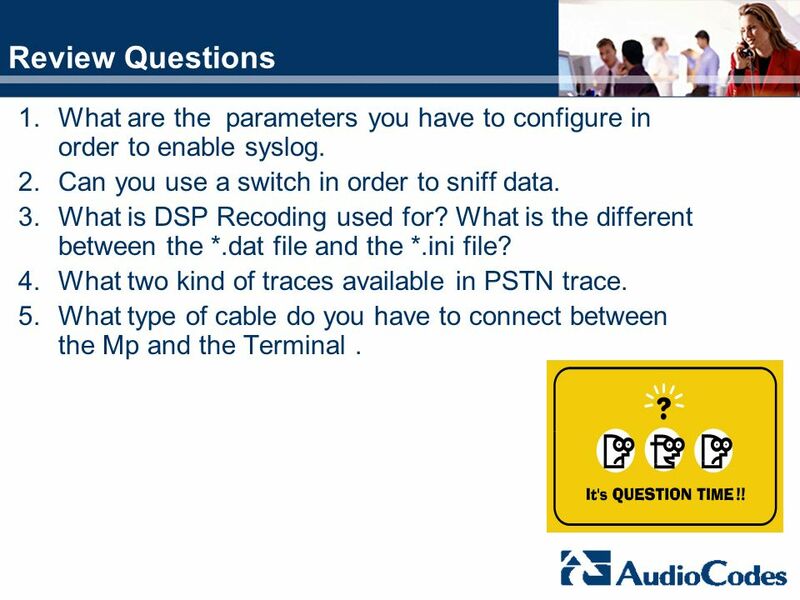 45 Q: What is PSTN trace used for ? 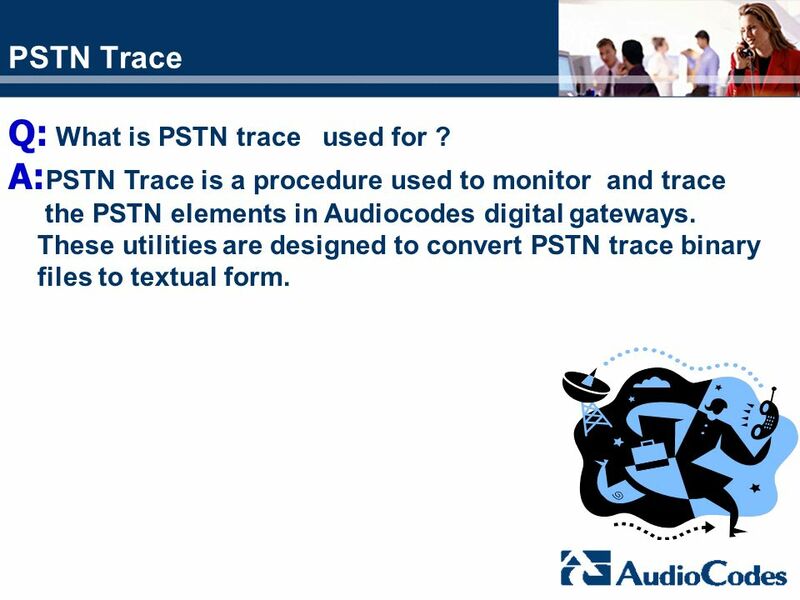 A:PSTN Trace is a procedure used to monitor and trace the PSTN elements in Audiocodes digital gateways. These utilities are designed to convert PSTN trace binary files to textual form. Run the UDP2File utility. Determine the trace file name. For example: xyz.dat Determine the UDP port (the same as configured on the web). 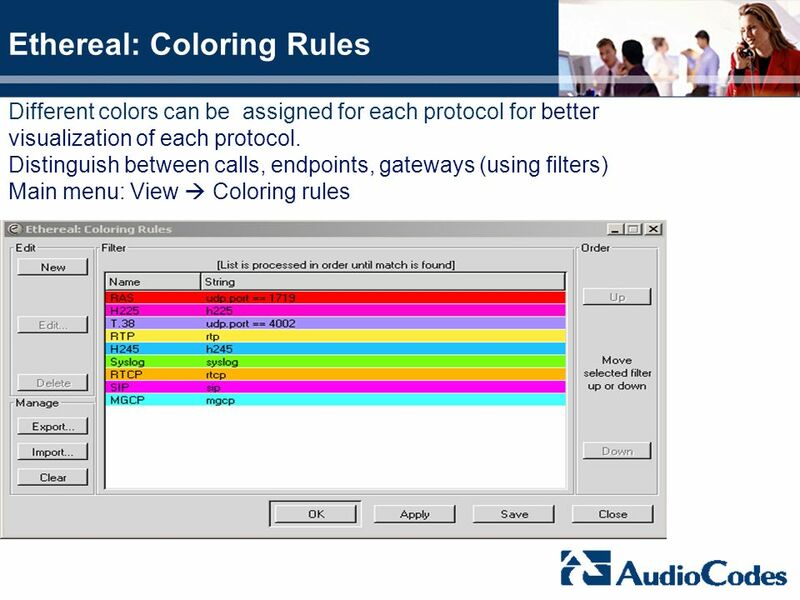 Mark the PSTN Trace check box. Push the Go button=> the UDP2File utility collect the trace messages. In the WEB page push the SUBMIT button => The board starts to send the trace to the PC. 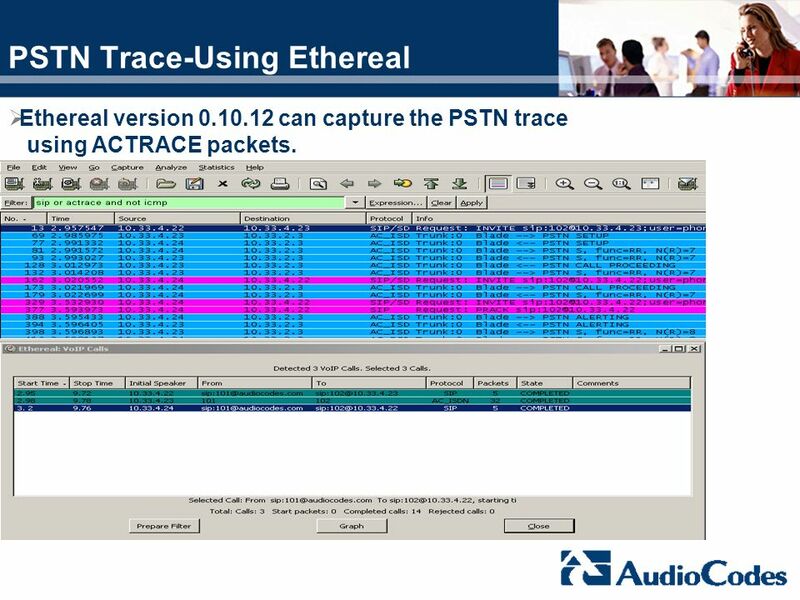 Ethereal version can capture the PSTN trace using ACTRACE packets. 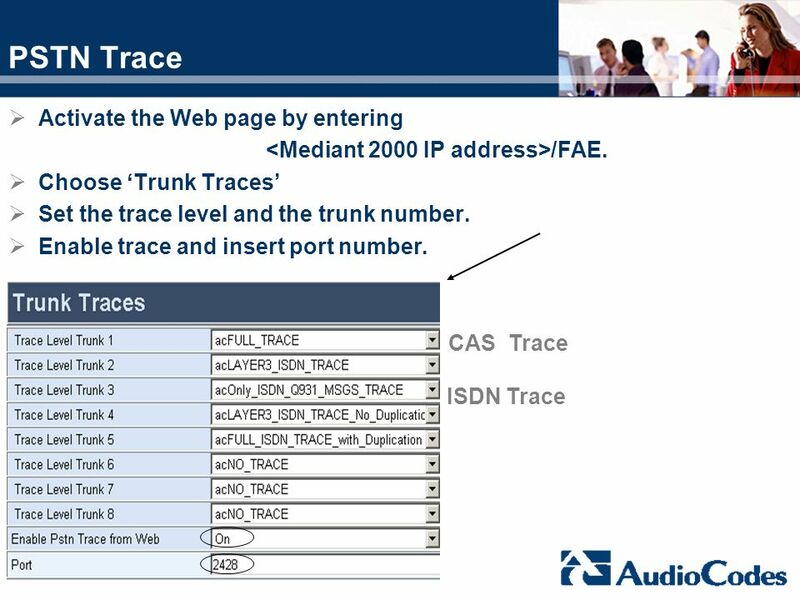 1)Open the Mediant 2000 WEB interface ( choose Trunk Traces): For CAS trace: acFULL_TRACE. 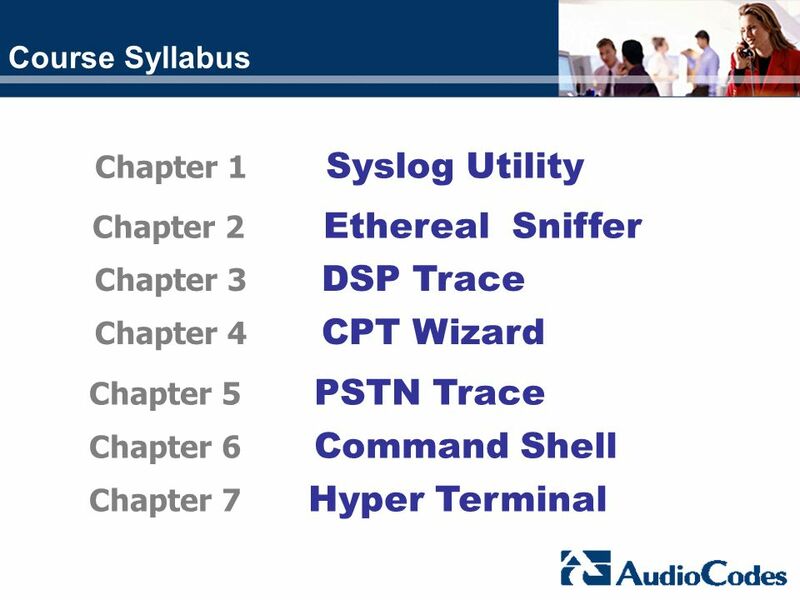 For ISDN trace: acLAYER3_ISDN_TRACE_No_Duplication. 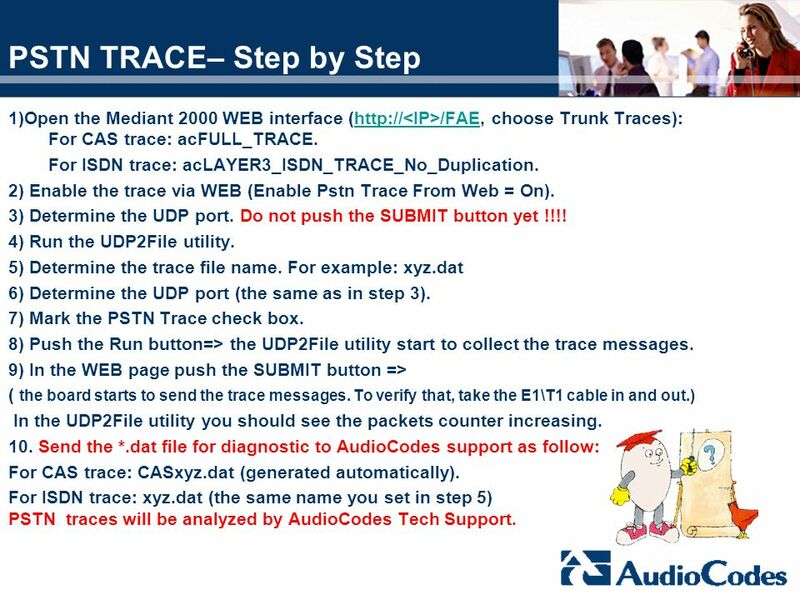 2) Enable the trace via WEB (Enable Pstn Trace From Web = On). 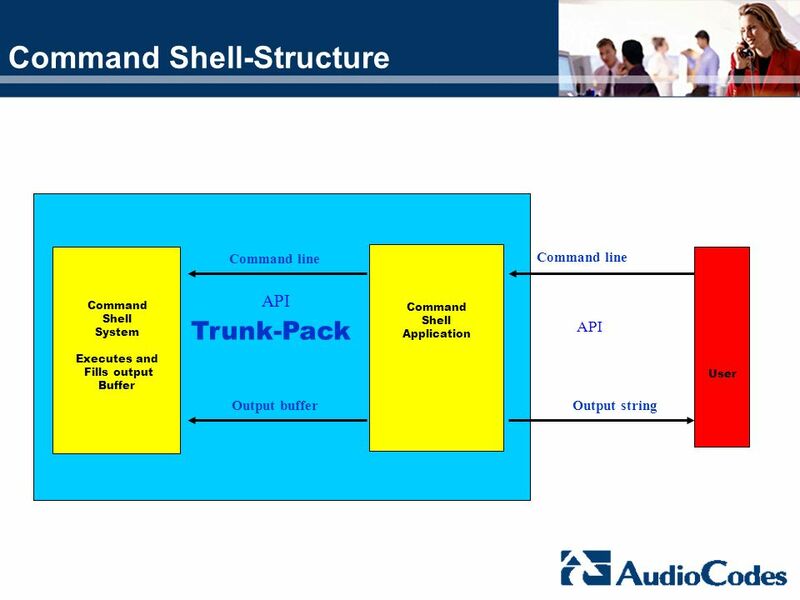 3) Determine the UDP port. Do not push the SUBMIT button yet !!!! 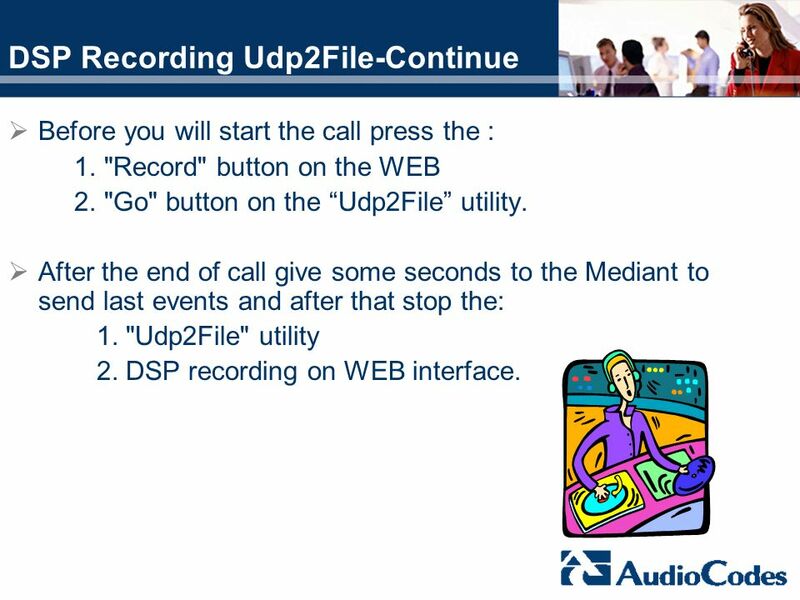 4) Run the UDP2File utility. 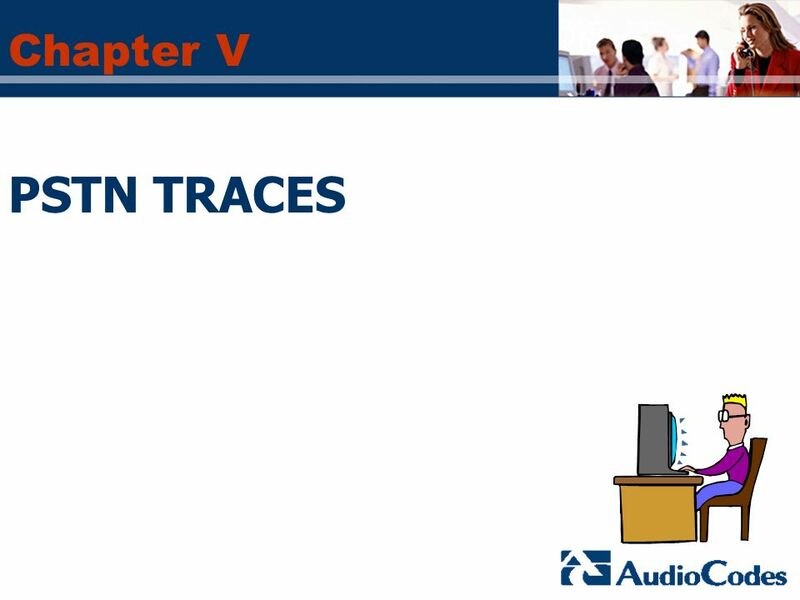 5) Determine the trace file name. For example: xyz.dat 6) Determine the UDP port (the same as in step 3). 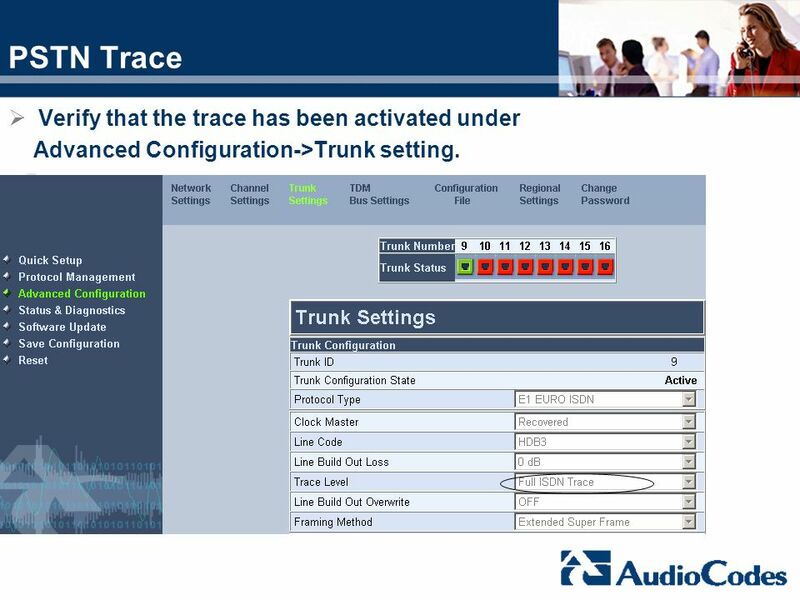 7) Mark the PSTN Trace check box. 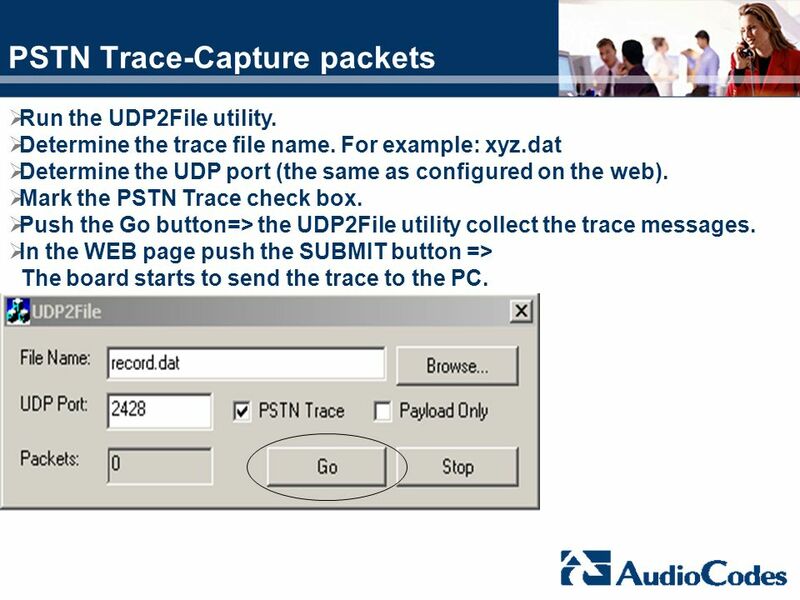 8) Push the Run button=> the UDP2File utility start to collect the trace messages. 9) In the WEB page push the SUBMIT button => ( the board starts to send the trace messages. To verify that, take the E1\T1 cable in and out.) In the UDP2File utility you should see the packets counter increasing. 10. Send the *.dat file for diagnostic to AudioCodes support as follow: For CAS trace: CASxyz.dat (generated automatically). 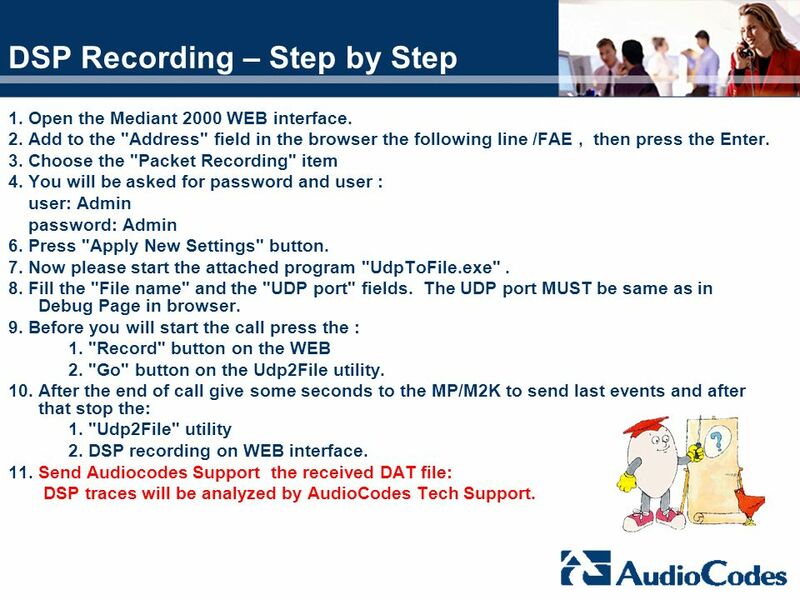 For ISDN trace: xyz.dat (the same name you set in step 5) PSTN traces will be analyzed by AudioCodes Tech Support. 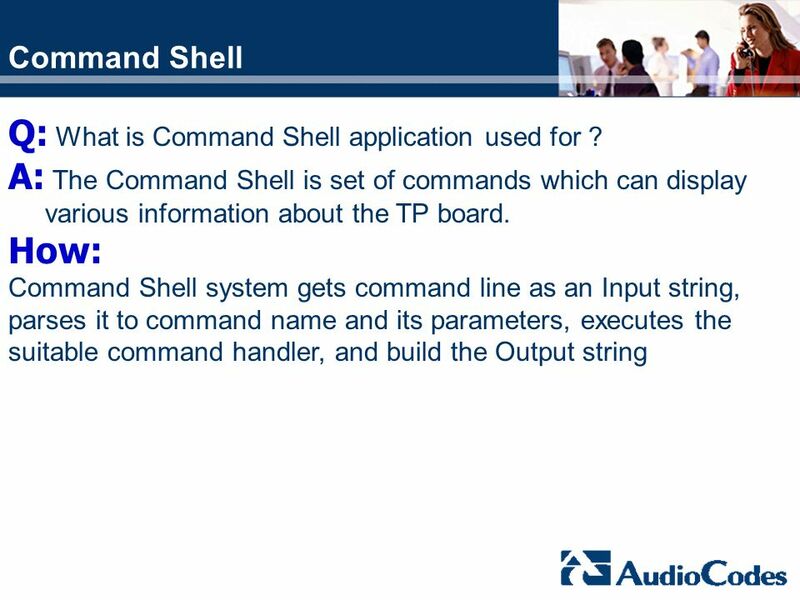 53 Q: What is Command Shell application used for ? 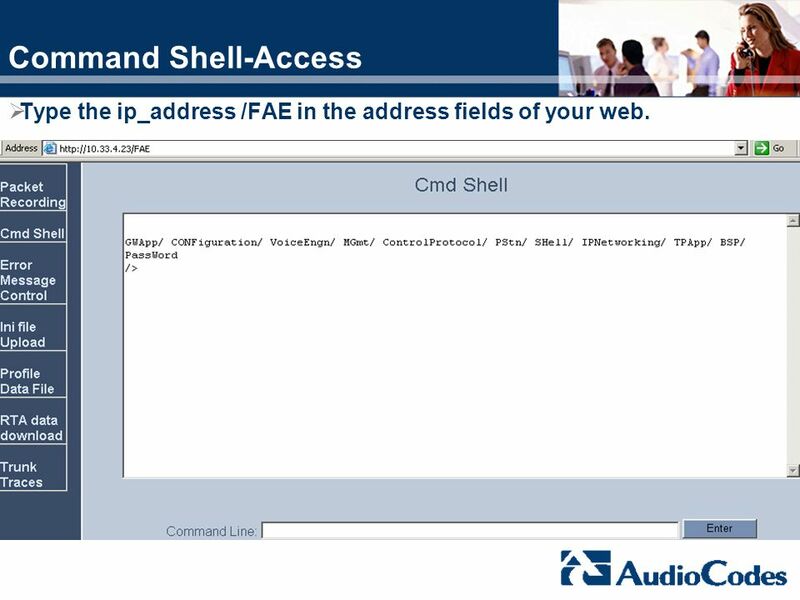 55 Command Shell-Access Type the ip_address /FAE in the address fields of your web. 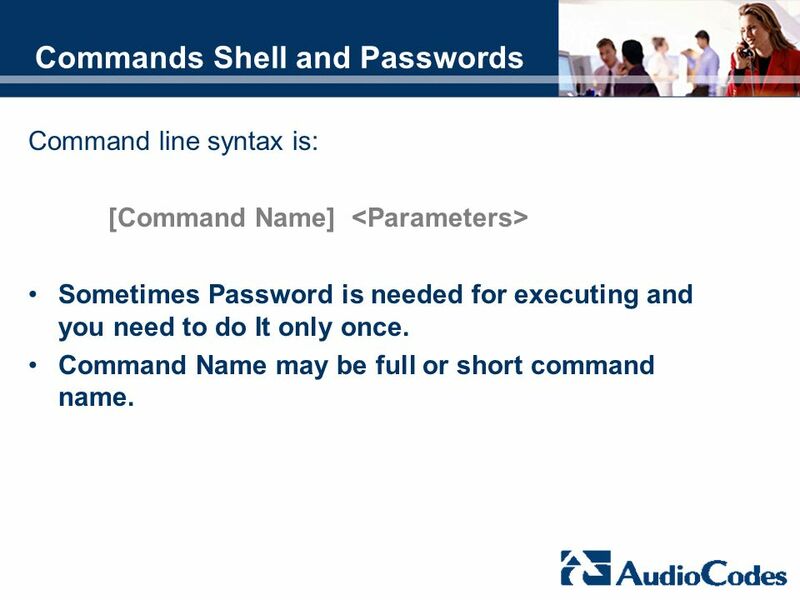 Command line syntax is: [Command Name] <Parameters> Sometimes Password is needed for executing and you need to do It only once. Command Name may be full or short command name. 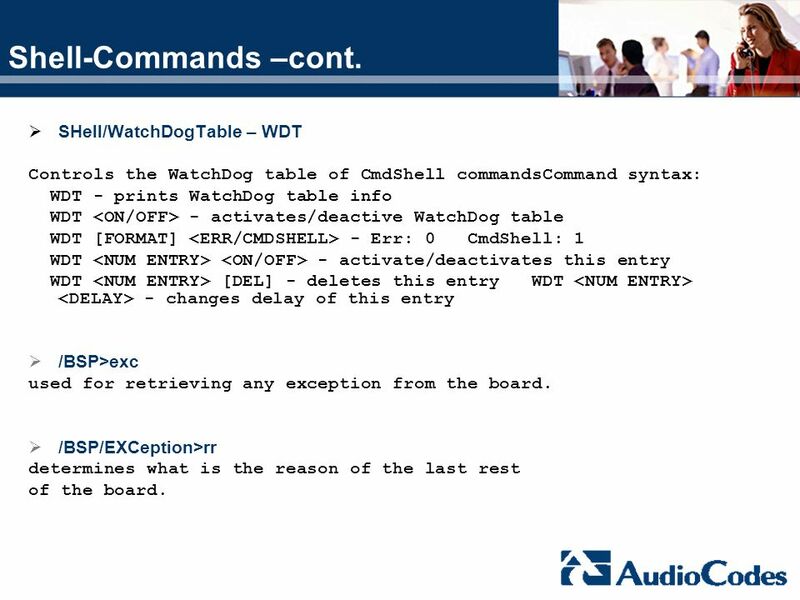 Controls the WatchDog table of CmdShell commandsCommand syntax: WDT - prints WatchDog table info WDT <ON/OFF> - activates/deactive WatchDog table WDT [FORMAT] <ERR/CMDSHELL> - Err: 0 CmdShell: 1 WDT <NUM ENTRY> <ON/OFF> - activate/deactivates this entry WDT <NUM ENTRY> [DEL] - deletes this entry WDT <NUM ENTRY> <DELAY> - changes delay of this entry /BSP>exc used for retrieving any exception from the board. 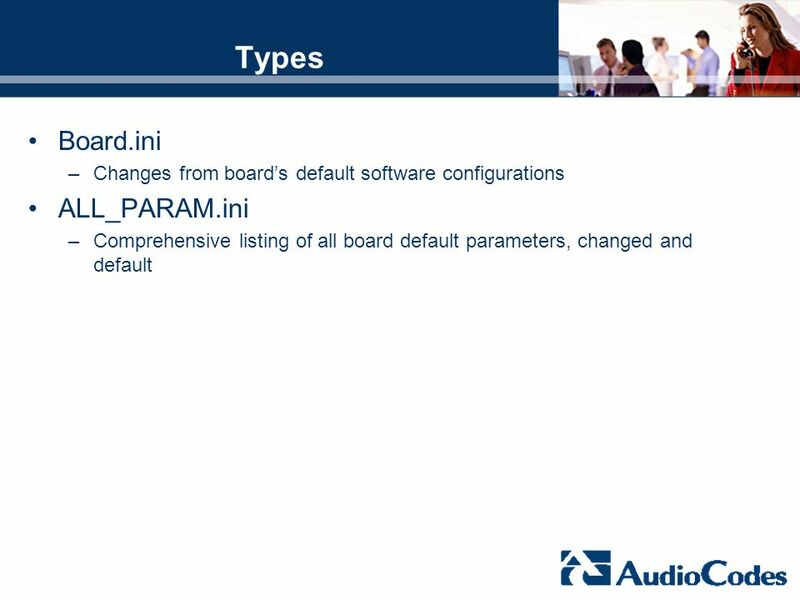 /BSP/EXCeption>rr determines what is the reason of the last rest of the board. 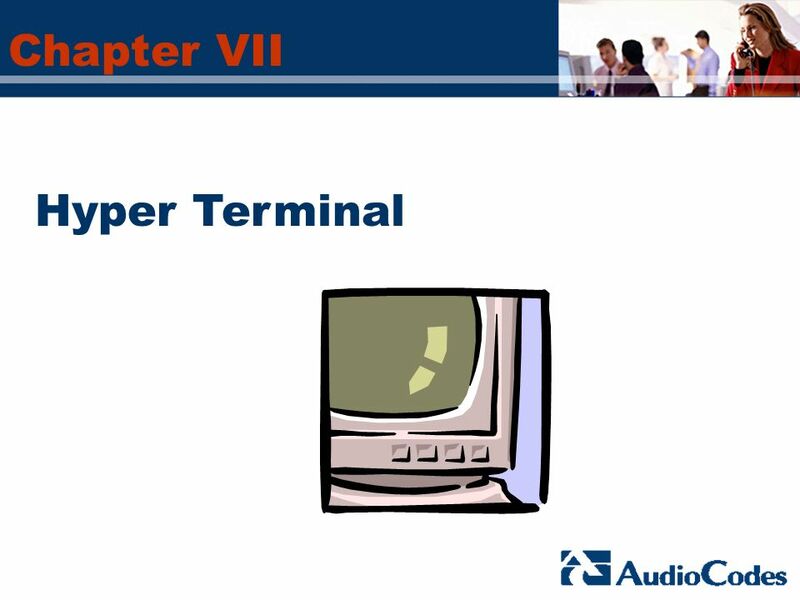 60 Q: What is Hyper Terminal application used for ? 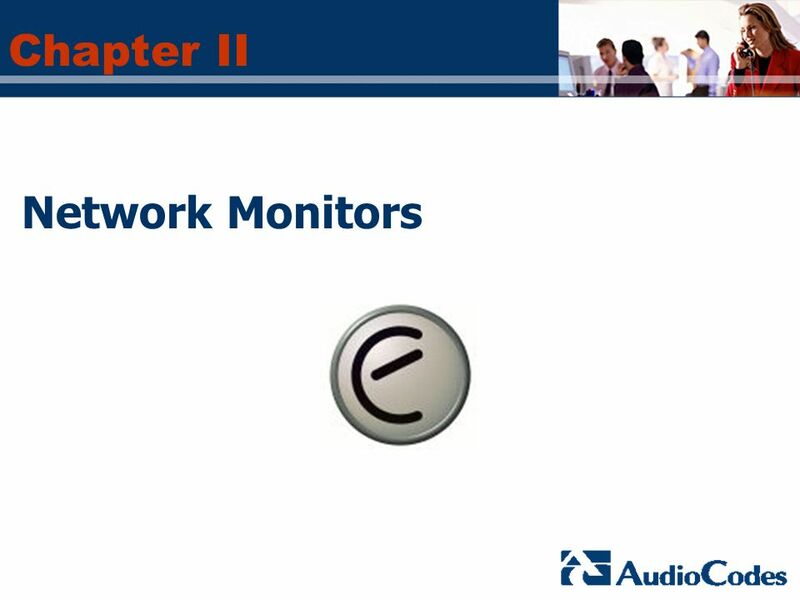 A: Terminal is any device that terminates one end (sender or receiver) of a communicated signal . 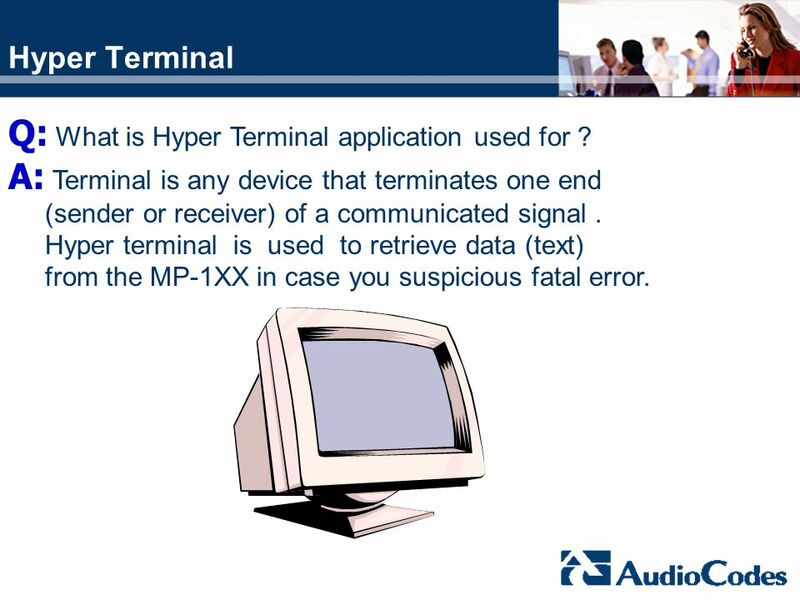 Hyper terminal is used to retrieve data (text) from the MP-1XX in case you suspicious fatal error. 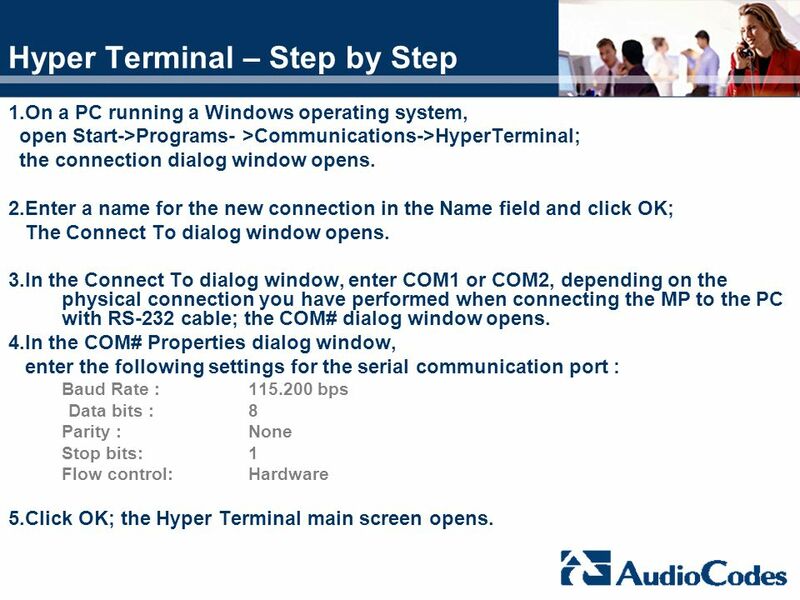 1.On a PC running a Windows operating system, open Start->Programs- >Communications->HyperTerminal; the connection dialog window opens. 2.Enter a name for the new connection in the Name field and click OK; The Connect To dialog window opens. 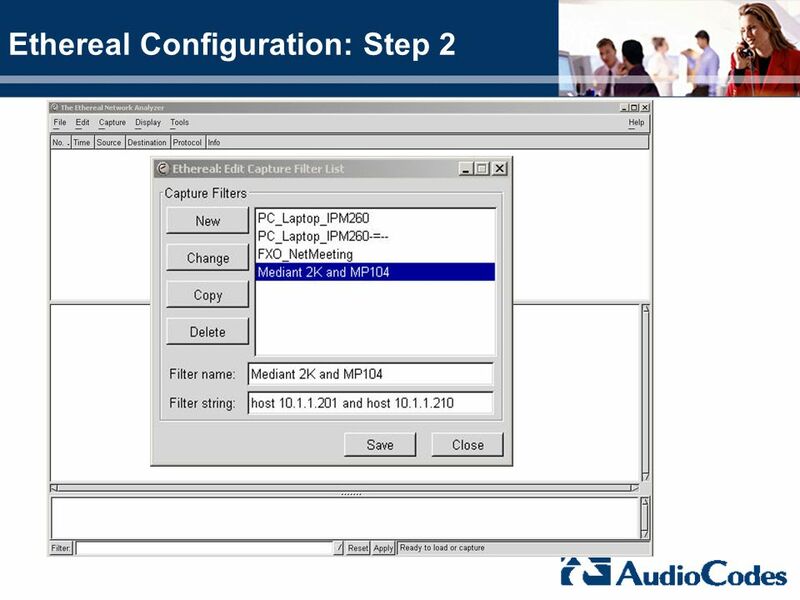 3.In the Connect To dialog window, enter COM1 or COM2, depending on the physical connection you have performed when connecting the MP to the PC with RS-232 cable; the COM# dialog window opens. 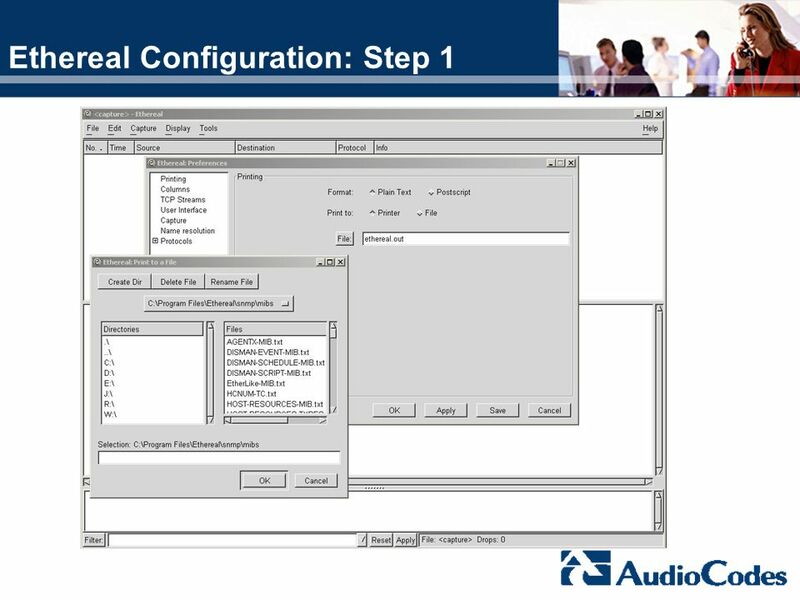 4.In the COM# Properties dialog window, enter the following settings for the serial communication port : Baud Rate : bps Data bits : 8 Parity : None Stop bits: 1 Flow control: Hardware 5.Click OK; the Hyper Terminal main screen opens. 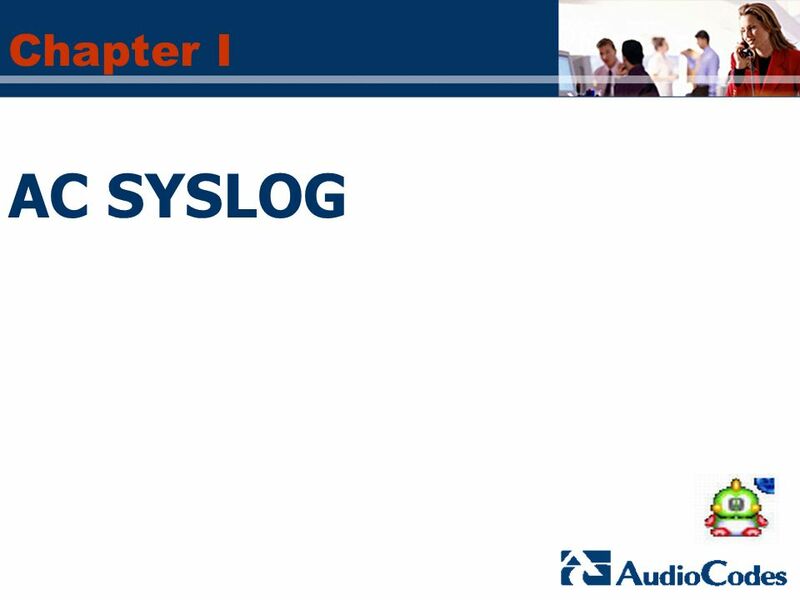 64 Review Questions What are the parameters you have to configure in order to enable syslog. Can you use a switch in order to sniff data. 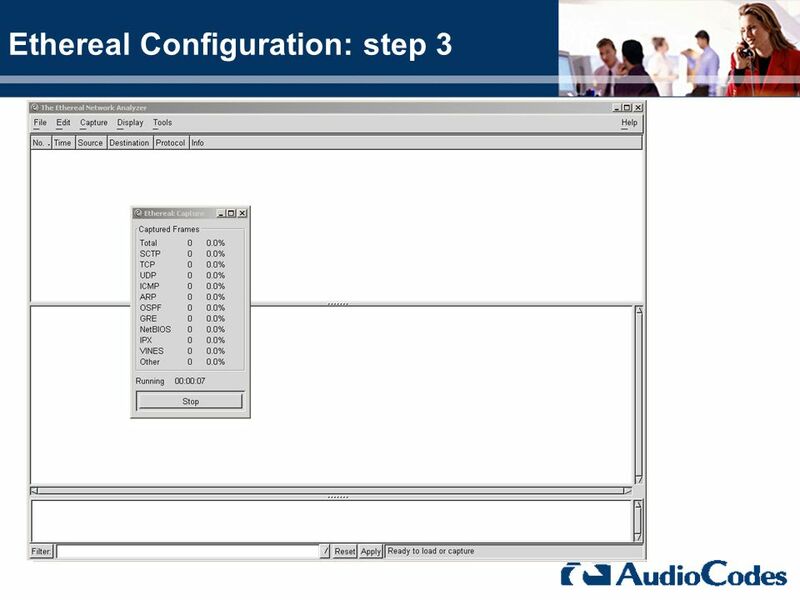 What is DSP Recoding used for? What is the different between the *.dat file and the *.ini file? What two kind of traces available in PSTN trace. 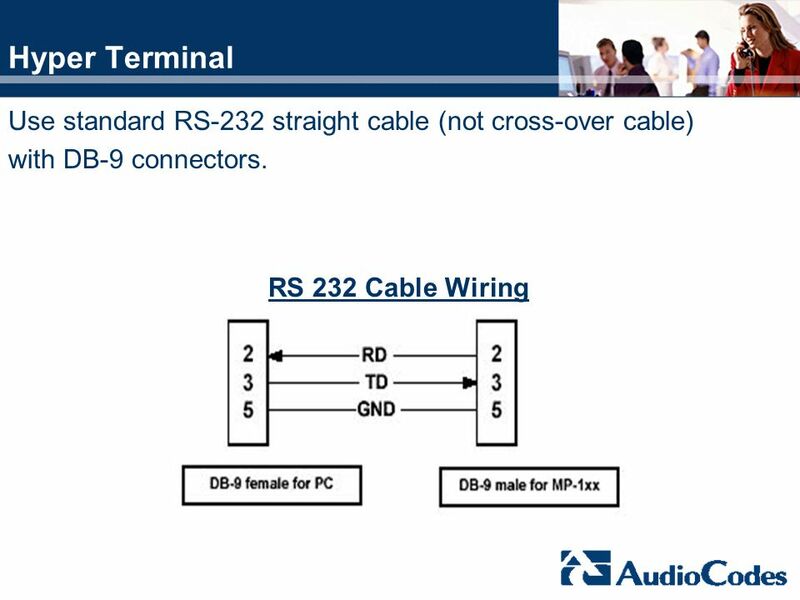 What type of cable do you have to connect between the Mp and the Terminal . Download ppt "Training Diagnostics Tools"
Guide to Oracle10G1 Introduction To Forms Builder Chapter 5. 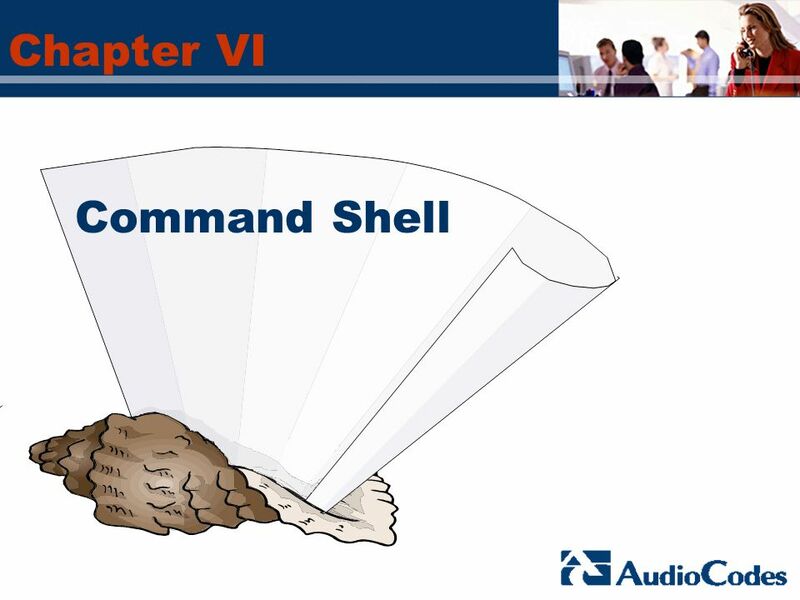 A Guide to Oracle9i1 Introduction To Forms Builder Chapter 5. Lab 03 Windows Operating Systems (Cont.). PYP002 Preparatory Computer ScienceWindows Operating System2 Objectives Develop a good understanding of 1. The. Cisco Confidential 1 © 2011 Cisco and/or its affiliates. All rights reserved. TAX-AIDE Network Router Setup Network Printer Setups July SMT/TCS Training - Dallas1.